- A physician should be consulted about earache in children. - Initial exacerbation of symptoms may occur. - Keep this and all medicines out of the reach of children. - If swallowed, get medical help or contact a Poison Control Center right away. - If you have ear drainage, discharge, irritation, a rash in the ear, or are dizzy; consult a doctor. - With ear tubes, after ear surgery or with damaged ear drums. - Symptoms persist for more than 48 hours. - These is discharge from the ear. - There is a fever of 102F or greater. - Remove tamper-evident seal from neck of bottle. - Twist cap off bottle. 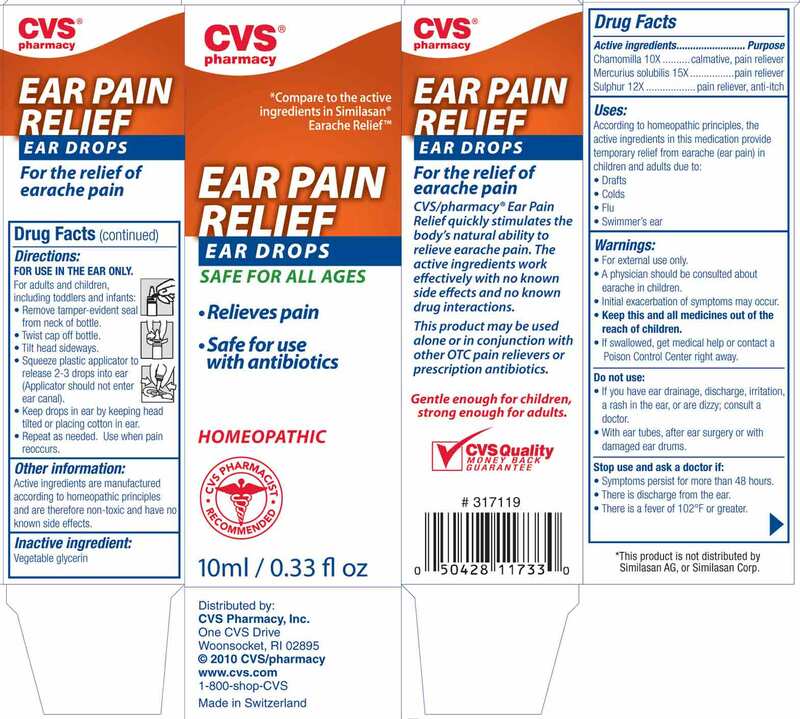 - Squeeze plastic applicator to release 2-3 drops into ear (applicator should not enter ear canal). - Keep drops in ear by keeping head tilted or placing cotton in ear. - Repeat as needed, use when pain recurs. Active ingredients are manufactured according to homeopathic principles and are therefore non-toxic and have no known side effects.